The HW7ACW Wireless AC Wall Plug Range Extender allows you to repeat and rebroadcast 2.4GHz & 5.0GHz wireless 802.11b/g/n/a/ac signals from any wireless access point or wireless router. This WiFi Range Extender allows you double your existing WiFi signals, even at Wireless AC speeds! 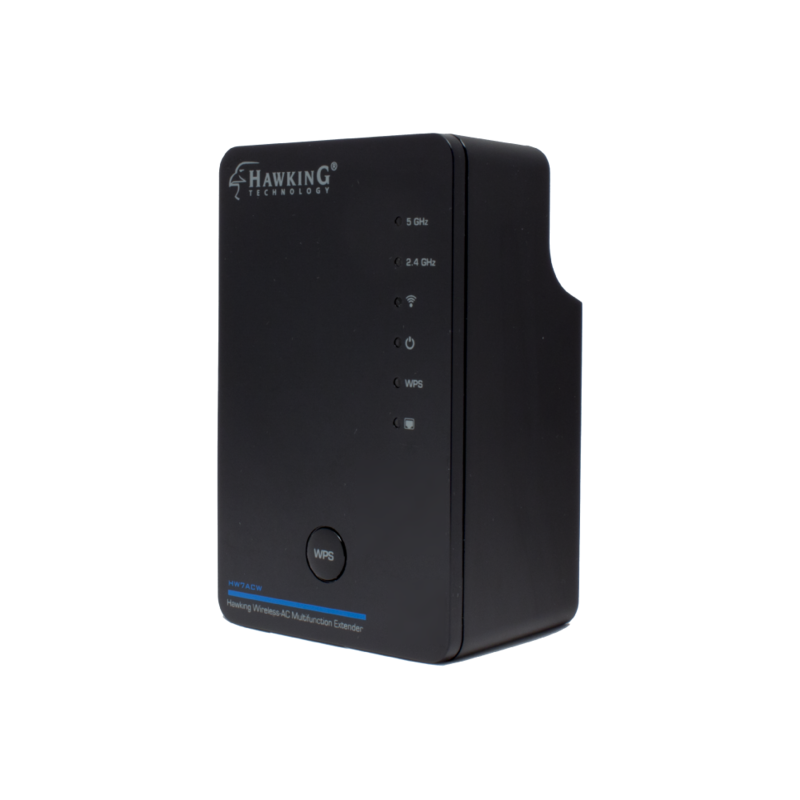 The Hawking HW7ACW Wireless AC Wall Plug Range Extender doubles the coverage of your high performance wireless network. It extends your coverage and stabilizes your wireless connection for slightly out of reach’s devices and has 5.0GHz speed compatibility. As a result, the HW7ACW improves your wireless data connection and reduces lag for better online gaming and video streaming experience. 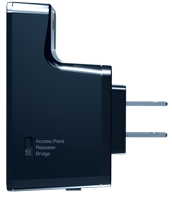 The HW7ACW Multi-Function Wireless AC Range Extender is designed with three powerful wireless operating modes: Range Extender, Access Point, and Bridge. The HW7ACW Multi-Function Range Extender’s slim design provides a sleek alternative to bulky networking devices that clutter your space with multiple wires and plugs without loosing your wireless signal quality. Just plug it into a standard power outlet! The external quick setup button or WPS button allows users to instantly activate the HW7ACW for secure setup. With the HW7ACW’s available Ethernet port, your wired devices can be converted into wireless ones easily. 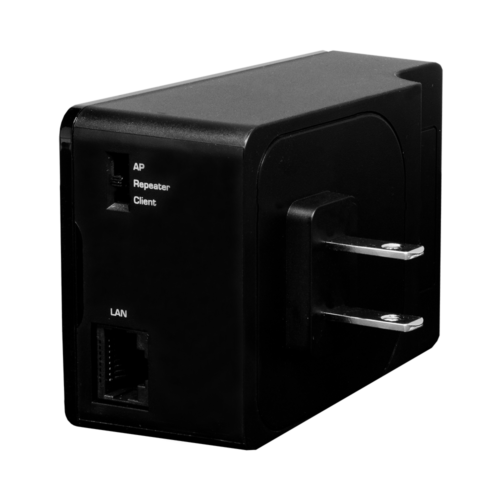 Just use a standard ethernet cable and plug your device directly into the HW7ACW, a perfect alternative for your XBox, Playstation, older gaming consoles, printers, desktops, TVs, etc. 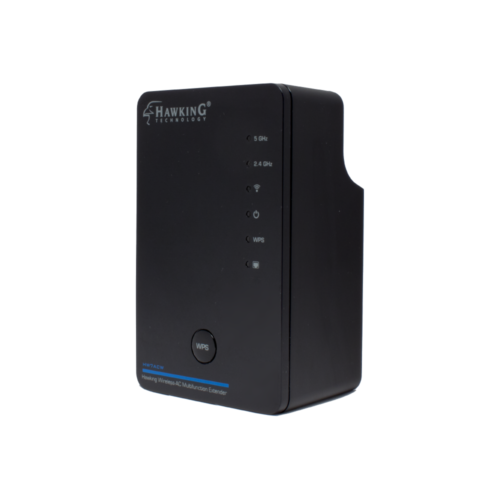 The WiFi Range Extender doubles the wireless coverage of your high performance wireless network. It reduces your wireless deadspots, provides extended coverage for outer devices. Seamless Roaming is a unique feature that mirrors existing network settings for ultimate mobility with all your WiFi devices. It allows your WiFi devices to connect and roam freely. Place the HW7ACW Wireless AC Range Extender within your existing network to expand the wireless coverage throughout your home and office. Eliminate slow network connections due to poor wireless coverage. 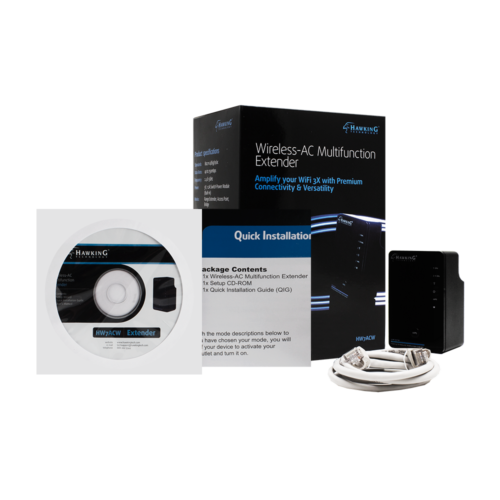 The HW7ACW Wireless AC Range Extender is quick and easy to install using a WiFi enabled device (i.e. tablet, smartphone, Mac or Windows computer). 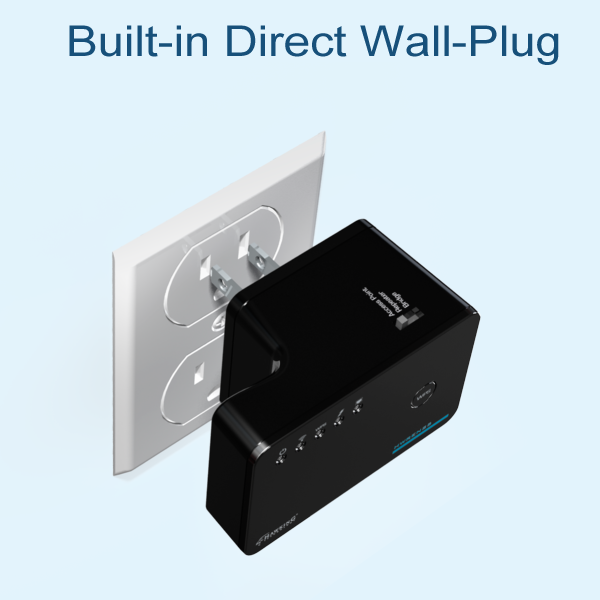 Hassle-free means, there is no Ethernet cable or CD required for the installation. Simply power up the unit, use a WiFi enabled device, and log into the set up page. This installation feature lets you configure and set up the HW7ACW within minutes.